This was from a Food Network Magazine sometime last year. It was good but a little same-y. I’d completely forgotten I’d made it until I went back through my recipe photos from last year to see what I’d missed. And I only made it in December. 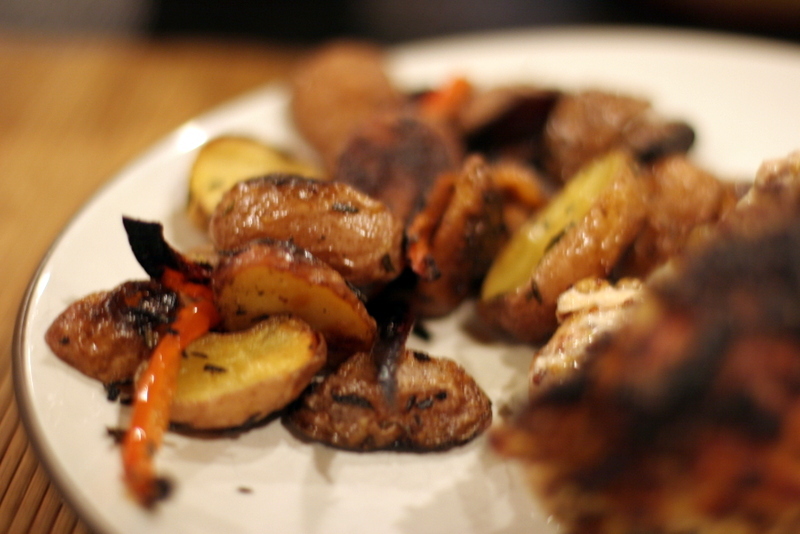 I feel like I’ve made a lot of variations on bone-in, skin-on chicken breasts with mustard and/or potatoes. It’s perfectly good, but I’m starting to get a little bored. 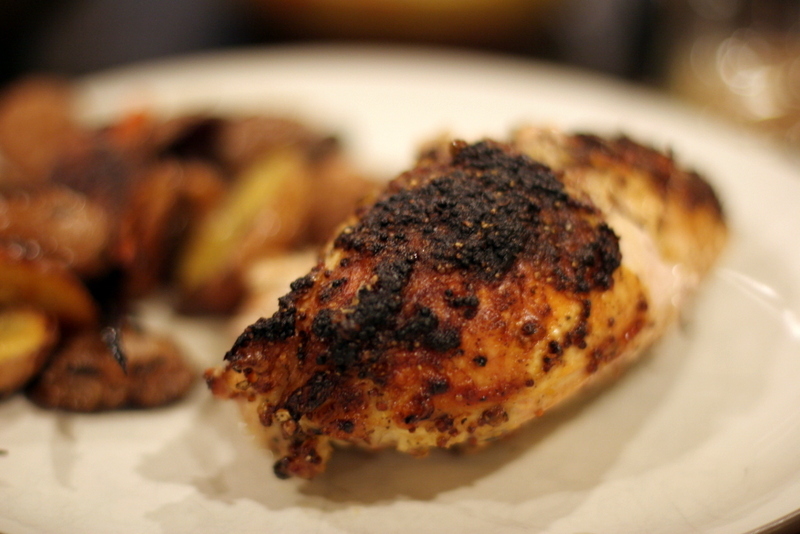 This recipe was originally for chicken thighs, which Adam doesn’t like, so maybe that would have spiced it up. Position racks in the upper and lower thirds of the oven; preheat to 450 degrees F. Whisk 1/2 cup water, the mustard, 1 tablespoon olive oil, the lemon juice, peppercorns, half of the garlic and 1/4 teaspoon salt in a bowl. Add the chicken and toss. Loosen the skins and rub some of the mustard mixture underneath. 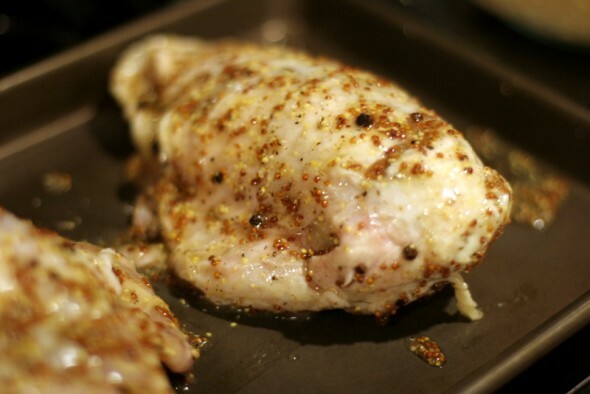 Transfer the chicken to a rimmed baking sheet, skin-side up. Roast on the upper rack until golden and crisp, 25 minutes. Meanwhile, put the potatoes and 1/2 cup water in a microwave-safe bowl. Cover with plastic wrap; pierce a few times with a knife to vent. Microwave until just tender, 10 minutes. Drain and pat dry. 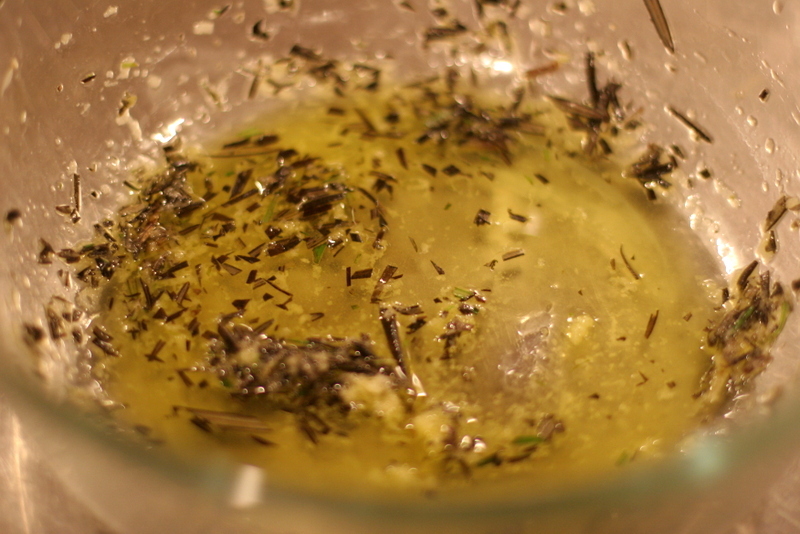 Combine the remaining garlic, 2 tablespoons olive oil, the rosemary and 3/4 teaspoon salt in a bowl. 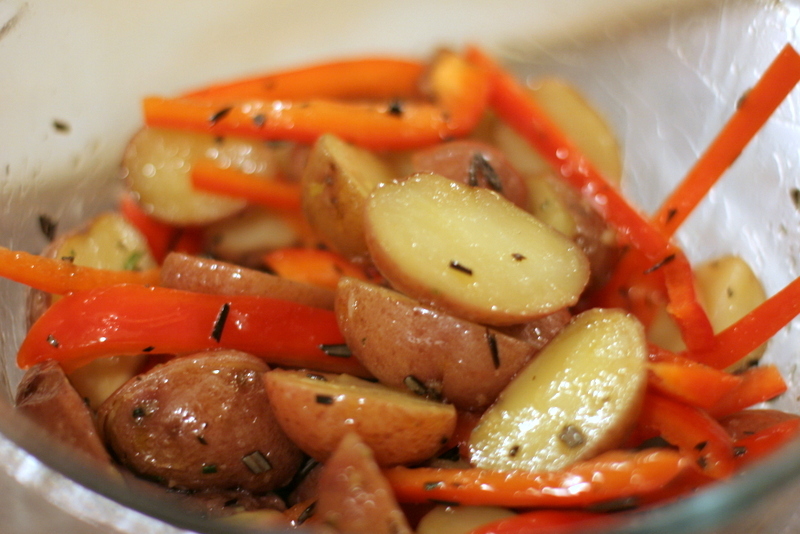 Add the potatoes and bell pepper; toss. Transfer to a separate rimmed baking sheet. Roast on the lower rack until the vegetables are tender and golden, about 20 minutes. 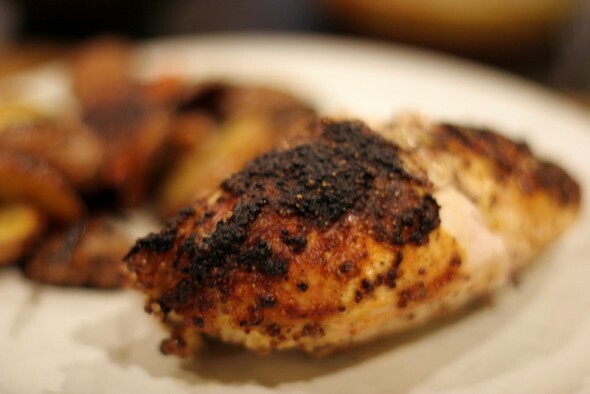 Remove the chicken from the oven and let rest. Move the vegetables to the upper oven rack and continue roasting until browned, 5 more minutes. 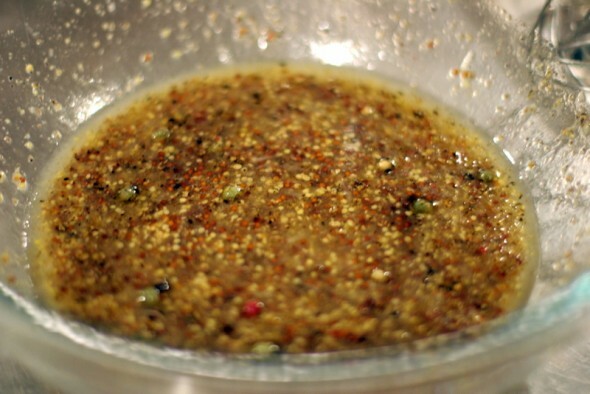 Serve with the chicken and any pan juices. Looks Delish. I just need to stay home long enough to try them. Hope you are getting in some sewing up your way. We only got a 1/2 inch down here!